Marston Hill, designed by Aina and Charles Allwood, built in 1924 for all year use. 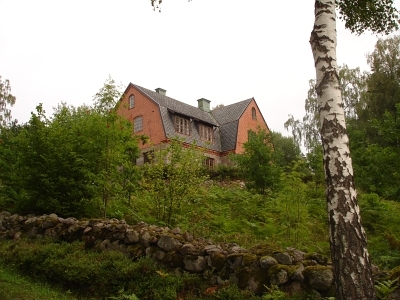 The house has 6 bedrooms 1 hall, 1 library, 1 living room, 1 dining room, kitchen, cellar and bathroom. (balcony with a larder).